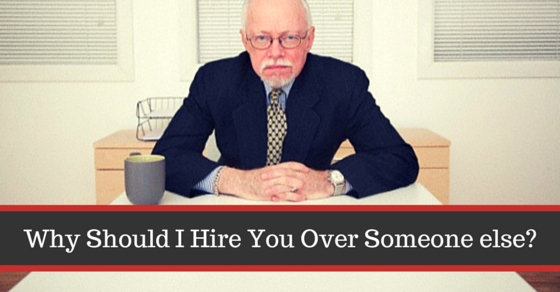 Why should one hire you over another candidate? May be there is somebody else out there in the market who can out beat you. Now before somebody else can do that, why not we go through a simple discussion of self analysis and why a company should actually pick you over another competent player. 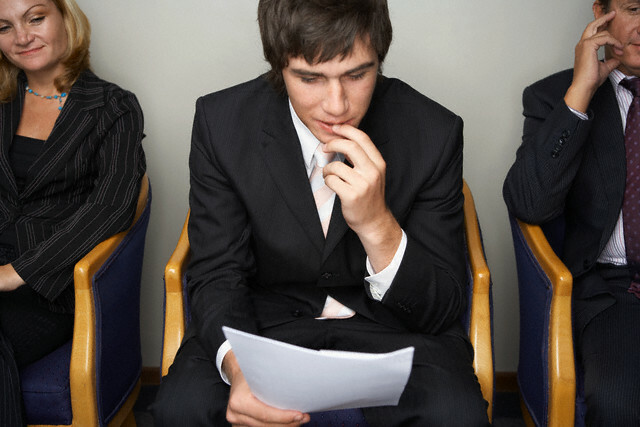 Let us understand what the hiring process is all about? The hiring department of a firm performs the action of finding a valuable resource to the company as and when the need arises. The purpose of this department is to analyze, evaluate, research and outreach to those potential candidates, who could actually take up the responsibility of a particular job profile that the firm is offering. Now this process becomes critical in the sense that, a firm or a recruiter looks for the right amount of credentials within you which would actually fulfil the requirement. Why should we hire you instead of one of the many other well qualified applicants? Note that this question can be put across to you in many different ways. Like why should we hire you over those many other talented candidates? Or may be why do you think you are the best amongst the others who have applied for the same? Sometimes they may even ask why you think you are the right fit for this job. And lastly, what is it that you bring to this position or job profile or role? When you want to nail an interview, then you must be prepared with a summary of your accreditations. 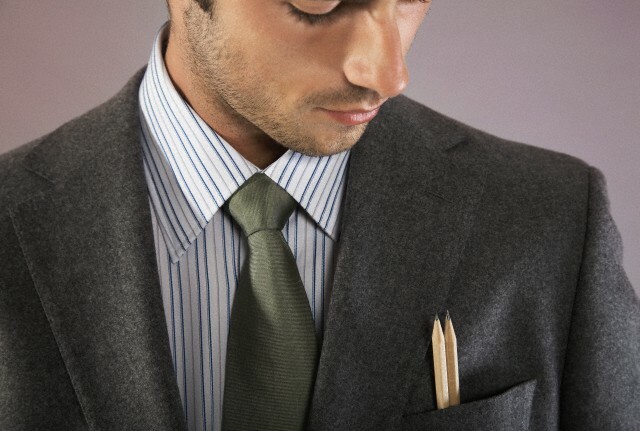 Be ready with your top reasons as to why someone would choose you as their prime candidate. Lastly, in some cases, the interviewer may not even ask a question remotely related to this. But that just means you need to be more effective in your communication and convey the above reasons in some way or the other throughout the interview process. Let’s come back to why firms and recruiters ask this question to every single candidate? One must know that this is a key point to be understood. The firm or the recruiter’s job is to hire the best possible person. Therefore, in this process by asking the above question helps them immensely to choose a self qualified candidate for the job, someone who foresees the job routine and talks about how this path can be travelled. The other important aspect to this question is that the interviewer is putting at risk his personal career by trying to recruit you as a possible potential candidate. 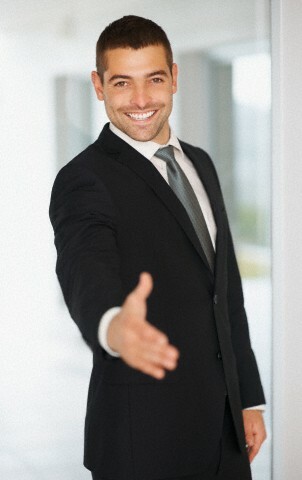 Since every hire that a company makes is purely based on the trust factor. Therefore when a candidate happens to be what he exactly portrayed to be, he would then make the firm and the interviewer both happy. On the other hand, if the candidate happens to be a letdown, or doesn’t perform the way he is supposed to, or worse leaves the job prematurely then the interviewer suffers majorly. This puts a set back on his professional career. So what basically hirers are asking of you when they impose this question on you is, asking you to sell the hirer on to you, and asking you to prove him that you’re the best. Here is a summary of what you should be telling him. Tell them that the work you do is exceptional and that you deliver in time. Tell them that you will be a great fit in the team and that you are a team player. You could also lead and motivate the team in the right way. You possess a great combination of the required skill sets and experience that make you stand out from the crowd. Lastly, hiring you would be the right thing to do since he is making a smart decision as you being a part of the team will make the interviewers’ life easier. Let us now delve into the topic a little deeper. We shall discuss many aspects to the questions laid above. Notice that this is your one time chance for you to make them feel you are the right person. It is that very moment that defines your career path. When you provide them with an answer, it should contain no more than three to four points. Quoting real life examples as a part of this answer adds a lot of meaning to the profile and shows how you can handle real life situations. Gives room to your hirer to assess you based on the practical scenarios. Consider this as an opportunity to reiterate again after having mentioned in the resume, the most memorable and impressive strengths that are a part of you. And remember to tailor these achievements in sync with the requirements of the job profile. If you have a long standing experience in the industry, then it is definitely a stand out point. Make sure you tell them that it is this experience that gives you the confidence to take on any risk that comes your way in this industry. This point should be made to make them realize that you take your tasks and duties very seriously. It is inherent in you to perform your tasks and duties well within the stipulated time. By doing so, you are giving enough time for the team and the client to respond and interact. Making bonds stronger. If your job talks about being technically sound and excellent. And you know you have it, and then talk about it. How else would you nail it? Outline those specific key skills that you have in you that will take the team and the firm a long way, in terms of success and knowledge. Since you already have most technical specifications that the firm needs. It is often associated with Emotional Intelligence of a person. Be it the personality, or the body language, the social graces, networking, communication, language, presentation skills and the likes. These characteristics are not something you can talk about in an interview. But these traits are observed in you, the minute you enter the process of interview. So just make sure you are at your best in all the above mentioned. If you do lack one or more characters, make sure you habituate yourself into it. After all it defines who you are as a person. An act that you did and which brought success to your team and firm is something that can be penned in your resume and be spoken of in an interview. So more the number of successful achievements the stronger your resume gets. And more wanted you will be by the firm. For example, a successful marketing campaign, a sales venture etc. Accolades are, when you receive an award or when a privilege is granted to you as a special honor for the prestigious work that you have done, then it is acknowledging you of merit. These documents or awards, medals and honors play a pivotal role in the selection process. These merits take you to a different level altogether in your process. You would have already cracked the process half way through with these accomplishments. It is also important for you to assess if you have the right education or training the job expects from you. That is, see if your education tallies with the requirement. if it does, then it is definitely a positive point to make in your answer. For example, a combination of sales ethics and orator skills sounds like a great recipe for a Marketing Manager. So make sure you have created your own recipe of unique skills that will push you through the competition. What is the most important qualification that I must have for this position from the firm’s perspective? What are the areas in which I have a strong hold on? accomplishments will actually impress this job profile? What makes me different based on the above questions that I have answered? Prepare yourself with the best three to four points of yourself, which would make it the strongest argument. Create a pitch that would make the points you want to convey in a more established manner. Each point must be accompanied with a brief explanation containing real life experiences. Keep the matter concise and finish up within the two minute frame. You have to only talk about those things that really set you apart from the competition. By keeping it short, you not only keep the interviewer awake but you also keep him wanting for more. Now practice is one thing that makes people perfect. So, once you have your strong points that you want to talk about it’s about time that you practiced the way you wanted to convey it. Don’t land up speaking like a robot but be natural and fluent while you still should be making sense. While you attempt to speak this power packed reply at several occasions and at different venues, make sure each time your tone is different to keep the sense of vitality alive. Projecting confidence will always leave a deeper impact and the right attitude can definitely win you an edge over the other competitive ones. Your motivation should talk about professional ambitions. Also, self motivation and optimism is a great virtue that some of us seem to hide within us. Bring it out in the open and explore life’s opportunities. When you have this self confidence in you that you can crack it all, it makes it all the more happening for the hirer to recruit you. Basically you are going to be judged on the amount of confidence you show when you want to take up the responsibility that the firm wants to offer to you. Perhaps one should provide an example to best illustrate how this confidence has helped in his or her career. 18. What examples to quote? Pick at the max two examples from the below experiences. Talk about real life scenarios in which you have led a team into success. Talk about your leadership skills. Quote a few risk management techniques you have earlier used. Most importantly talk about your failures and what you have learnt from the same. And that how you would tackle the same issue if posed in the future. Let us now come to another important segment of the discussion, which is what you should not be doing or saying as a part of the billion dollars question in an interview. This would definitely make the process as bad as it can get. Being overly egoistic about some things or being too confident about your self could lead to being rejected by the hirer. Do take that time to prepare those three to four bullet points. After all it’s just that many and not an essay that you need to remember or memorize. You must look for opportunities and prepare or customize your pitch for any new opportunity. Also practice until you are comfortable about it. Don’t be too modest about your speech, it could rather turn out to be self depreciating. You must be ready and willing to talk about what makes you the best and if you are modest by nature then you need a little bit more of practicing. Adding some personality to your answer will look like you have worked out your own answer without plagiarism. Generalizing can make you lose the opportunity, because hirers are not looking for general characters in you but they are expecting something more that you can bring to the firm. Don’t do too much talking. 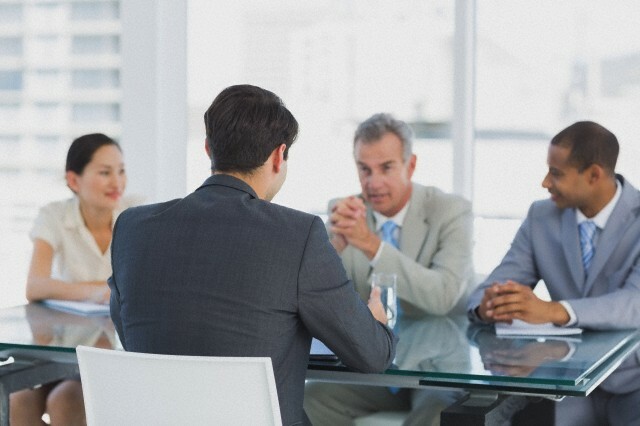 It doesn’t give the interviewer the opportunity to ask you different and varied questions. If you keep bragging about yourself too much then it would again look like you are too proud. So remember the two minute commercial and keep your answers restricted to that. Now those are the most important concepts and ideas to remember. Before we come to the conclusion let me also give you a couple of examples as to what would be the best answer for this particular question. After all this, am sure that many of us who have read this article is in one way or another are motivated to prepare yourself in the right way. If you have realized while reading this article, that there could be some characteristic or aspect that is missing, then accept it as your learning and make amendments to learn the same. If any of you could bring in more ideas and ideals, please feel free to do so. Feedback and suggestions are always welcome. Please do share your insights and thoughts so as to help many others. Next articleWhat is Human Resource Management – Why is it Important?